Paul McCartney has released a video for his new single Fuh You. 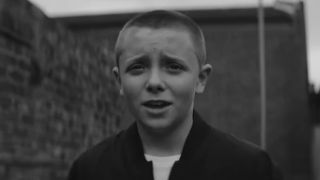 The promo has been filmed in black and white and shows a teenage couple sharing a kiss on the girl’s doorstep, with the boy unable to hide his joy as he walks home, despite the disapproving actions of her mother. Earlier this week, McCartney live streamed his performance from New York’s Grand Central Station in front of just 200 people in support of his new album Egypt Station. The full performance is also available to watch under this story. McCartney will return to the UK later this year on the Freshen Up tour. And speaking the shows, Macca said: “There’s nothing like performing in front of your home crowd – especially when it’s been a while. I can’t wait to finish the year on such a high by partying in Liverpool, Glasgow and London.